Are your stand staff boring visitors when you exhibit? Are your exhibiting goals and ROI being diminished as a result? If so, there could be a lack of experience, motivation or confidence getting in the way of that vitally important on-stand visitor engagement. 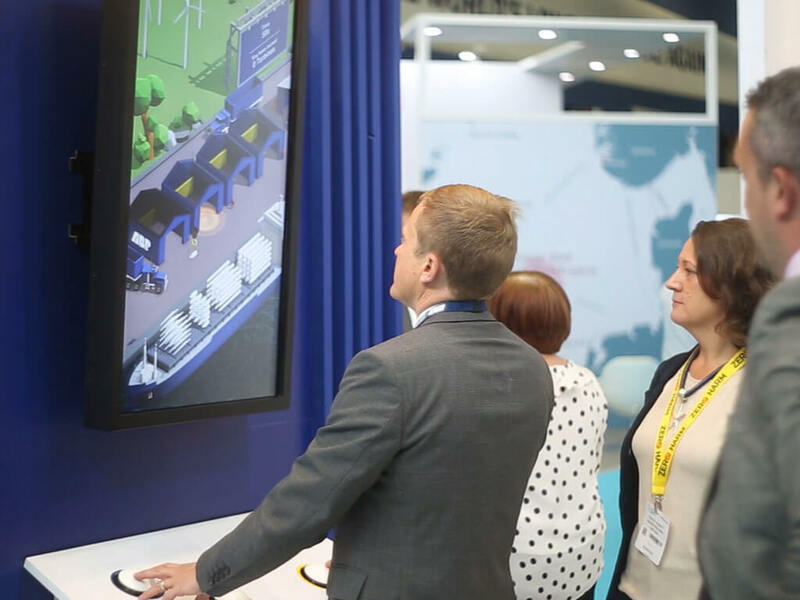 We’ve put together our top tips to help your team connect with visitors again at your next exhibition. A vast proportion of the success of your exhibition stand is down to its staff. Something as simple as not briefing them with expectations of what being at the show will achieve will inevitably damage visitor engagement and your ROI. What’s the ultimate goal for the show? What does each member of staff need to achieve? Stand staff should know why they are engaging with visitors and which visitors to qualify for follow up action. Describe what your stand staff should be talking to visitors about. Give them the background story to help guide their conversations. Do your research on this one, the show organisers can usually provide you with stats on the previous year’s attendees. From this, tailor your engagement with visitors to what you know about them. While you should share this information with stand staff before the event, it’s a good idea to refresh their memories with an on-stand briefing. Request that the team show up early for the briefing; at least half an hour before the show opens. Even the most competent member of staff gets tired being on their feet all day which is often followed by a sharp drop in motivation. Tiredness is a mood killer. It’s important that your team stay on top of their A-game as the last visitor of the day could be the most important. Thankfully, there’s an easy fix: regularly scheduled breaks. Make sure everyone working the stand gets a long lunch break and at least two coffee breaks. Not only will it prevent the team eating on stand (a big exhibiting no no) but also the refreshments and a well-earned sit down will do wonders for their engagement levels. To increase motivation levels even further, encourage your team to set personal targets. 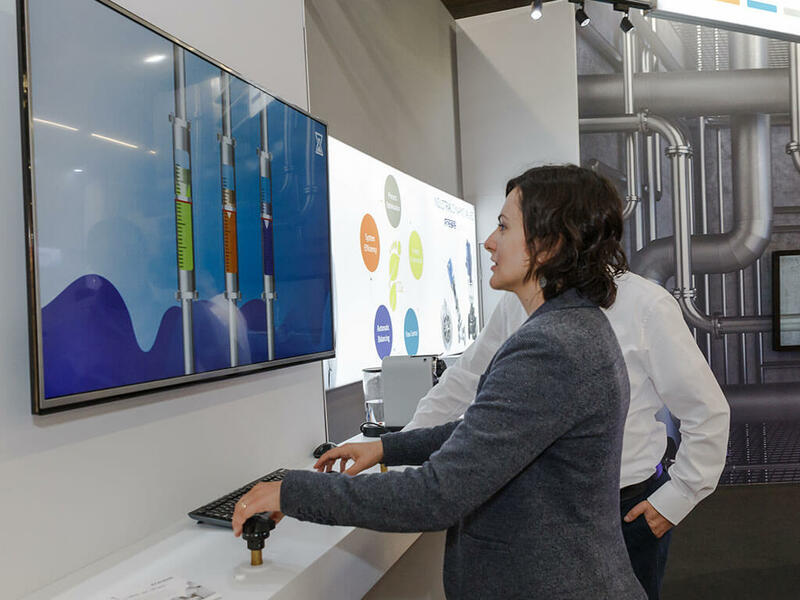 Anything from ‘talk to 10 people in the next hour’ or ‘conduct an on-stand product demonstration’ will help to re-motivate and re-focus their energies into engaging visitors. Not all of your visitor engagement needs be in the form of conversations with your stand team. Sometimes, creative content and engagement tools can do the hard work for you. 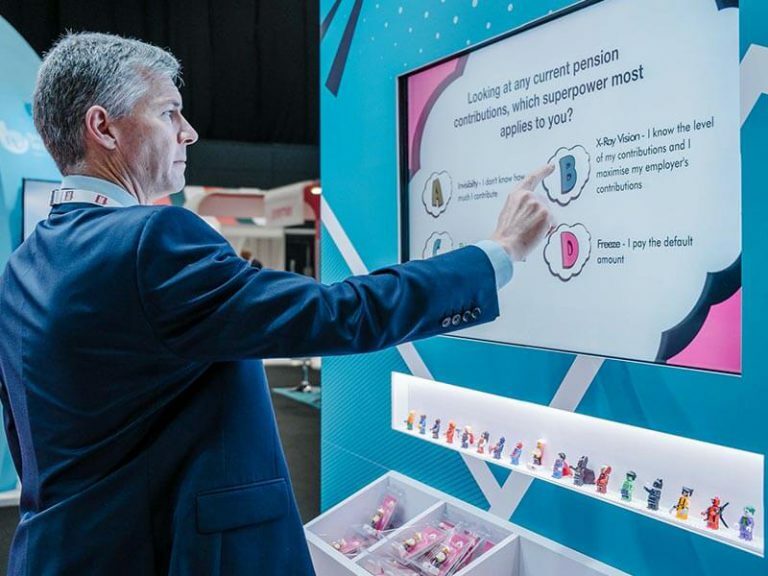 They give visitors a reason to approach your stand, provide an initial talking point, take some of the pressure off your team and can make understanding your proposition fun and easy for visitors to understand. 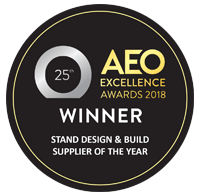 Ultimately you want visitors to your exhibition stand to remember you above the competition and a quick chat with your stand staff may not cut it. Instead, engagement tools can help add value to your dialogue, whether it’s a game to deliver a positive experience or a virtual environment that guides the visitor visually through your offering. PrevPrevious ArticleFinish first with a visit to the Materials Hub!